Tool Talk Podcast #39 TV Tonight: Ratzenberger Outsourced? 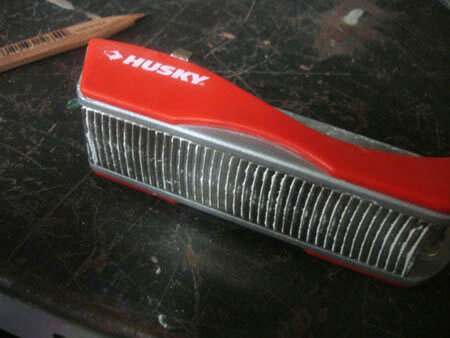 Let’s be clear: the press hates Husky’s 5-in-1 drywall tool. Popular Mechanics named it one of their “10 Worst Gadgets of 2007” — along with the Zune, leading dozens of Microsoft fanboys to blog, “at least my Zune isn’t as uncool as the Husky 5-in-1.” And it’s not pretty. It’s freakin’ huge, and it looks like unplanned result of a one night stand between a utility knife and a Swiss Army multi-tool. But sometimes form follows function. 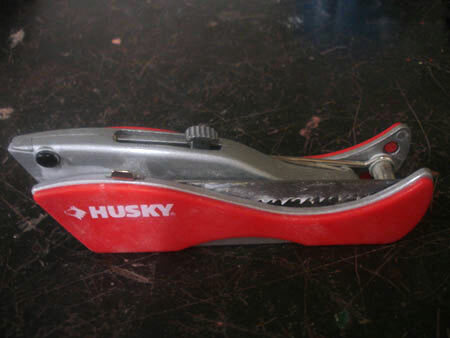 The Husky 5-in-1 wasn’t designed to cram five drywall tools into a smaller space, but rather to combine them in a way that they can still function. 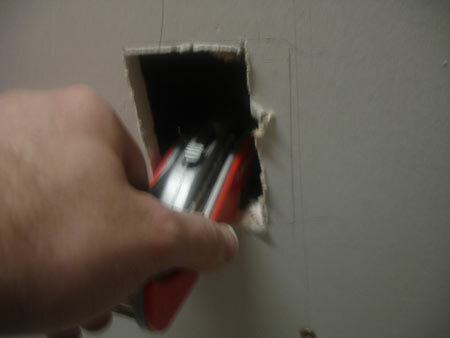 Specifically, its boxy end makes squaring off freshly cut drywall holes a breeze. Is it a misunderstood tool or waste of toolbox space? Read on past the jump to find out. Have we mentioned lately how much we hate clamshell packaging? 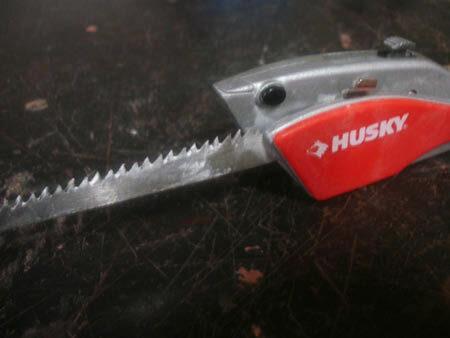 The Husky’s packaging indicates that it serves as a replacement for a drywall rasp, a keyhole saw, a utility knife, a tube/seal punch, and a pry bar. 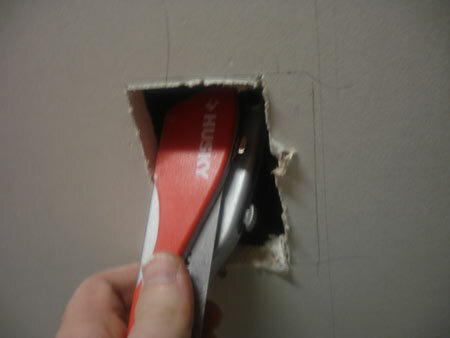 We noticed a few issues right away: the keyhole saw doesn’t have a point for punching through drywall, and the utility knife is on a weird hinge that lets it move — but not flip out. Plus, the button for replacing the blade in the utility knife is almost too easy to push and too close to the tip of the knife — you could easily hit it when cutting and release the blade unexpectedly. Read on to see how it works in actual use. To test the 5-in-1, we built a wall simulator — a free-standing “wall” with a few electrical boxes inside covered completely with fresh drywall. Then we tried cutting holes for those boxes. It’s a relatively easy task: locate the box. Punch a hole. Twist the corner. Saw out the rough hole. Surprisingly, the 5-in-1 features tools for all these steps. While the Husky’s saw-without-a-point can’t poke a hole, the tube/seal punch awl makes a fine hole. 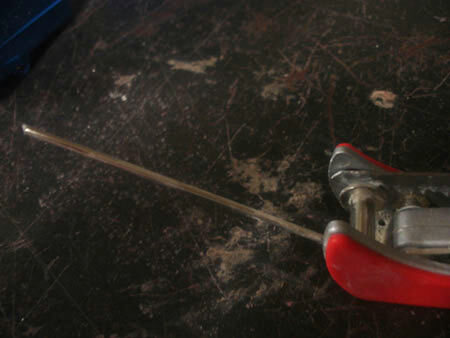 We were concerned that prying with the saw might snap it, but the tool’s pry bar is quite sturdy. Switching between the tools is a bit annoying, though. When we started cleaning up the hole with the 5-in-1’s rasp, we began to understand the point of this tool. Notice how the sides of the 5-in-1 are squared off from the rasp? This makes squaring off hole corners very, very easy. The rasp also works very well for thinning a piece of drywall to cover the tab sticking off the side of our cheap plastic electrical box. 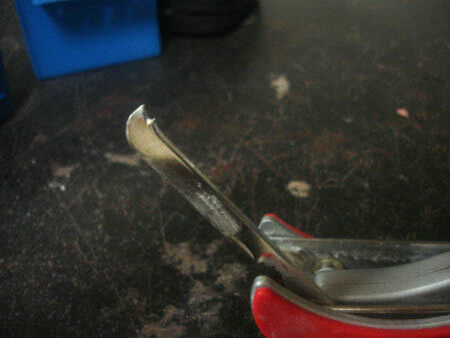 A little more experimentation revealed the reason why the 5-in-1’s utility knife only swings out a little bit. 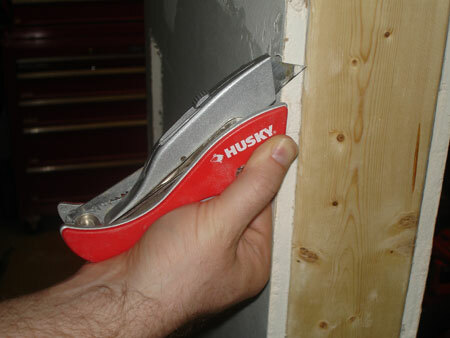 If you position the flat, angled side of the 5-in-1 against the drywall and cut, allowing the utility knife to extend as far as it can, the blade sticks out exactly the depth of standard drywall. (See picture above.) 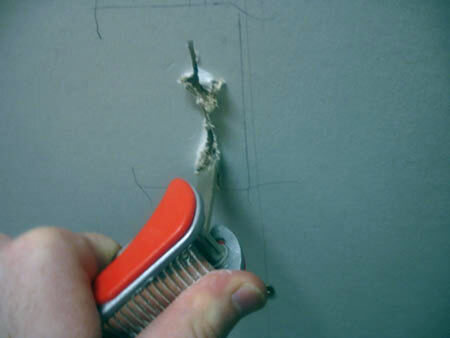 This means you can cut without worrying about slicing wires or other material beneath the drywall. Of course, it’s a little awkward. Read on to page two for our conclusions. Multi-tools are designed to get you through unexpected situations when you are away from your home/shop/job site/office. 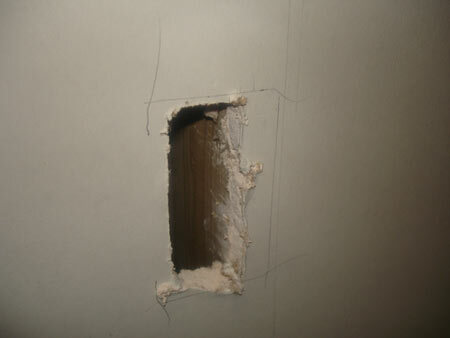 I don’t think there is a such thing as a drywall emergency. If you gotta tote some gypsum, you shouldn’t mind bringing along a box of individual tools designed specifically to to do individual tasks in the most efficient way and taking the time to do the job right. Only 3 tools, but enough for any job. 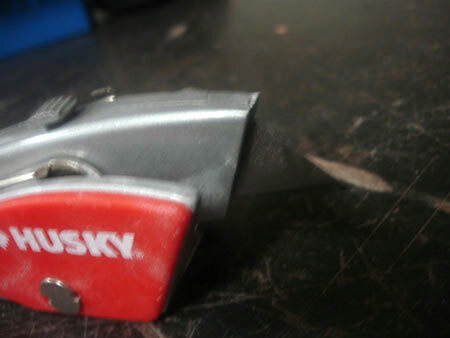 The Patents rights do not belong to you to market a drywall knife and rasp combo,I happen to hold the DESIGN and UTILITY rights Please explain if you can,plus whare ever you are marketing them will be assoiated as pirates as yourself. I use the Speedrocker also. 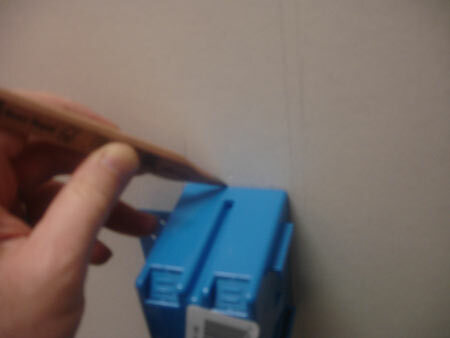 It has this slot to put the tape measure end hook into for safe measuring and scoring. Fits in your utility knife pouch too. It’s for sale at Lowes in a new double pack with the new fixed blade version called their Speedrocker-SS which is a really wicked quick change blade knife too for cutting drywall.